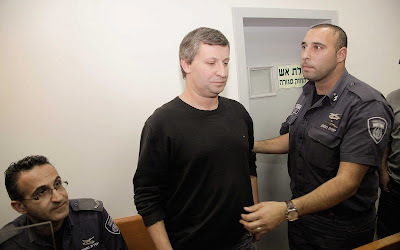 A former tourism minister from the Yisrael Beytenu party began his 15-month prison term on Sunday on breach of trust charges. Stas Misezhnikov arrived early Sunday morning at Hermon Prison, after pleading guilty as part of a plea deal. He was also fined NIS 70,000 (just under $20,000) as part of the agreement with prosecutors. Misezhnikov, 48, who served as minister in 2009-2013, was accused of securing his ministry’s funding of a student festival in 2012 in the southern port city of Eilat and then asking organizers to employ his romantic partner in return. Organizers complied, paying her tens of thousands of shekels during that period. The ministry’s funding came to some NIS 1 million ($270,000). During the course of the investigation, the former minister was also charged with sending aides to buy cocaine, which he allegedly consumed during official events in Israel and abroad. Those charges were dropped in the plea deal.